Kaitlyn is a very passionate hair & makeup artist with over 7 years of experience within the industry. Over the years she has worked on numerous fashion shoots and shows, advertising campaigns and makeup tutorials whilst managing a concept makeup store for Napoleon Perdis. Kaitlyn was chosen to be a part of the Napoleon Perdis Creative Team due to her creative flair and her knowledge in the field of makeup. Kaitlyn also specialises in the bridal industry as a freelancer and is an educator with one of Australian’s leading beauty academies. 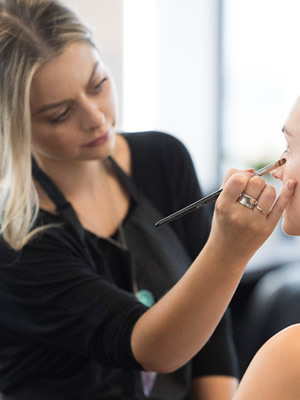 She is very passionate about training and uses her skills and knowledge across all areas of makeup artistry and hair design to inspire and coach the makeup artists of the future. She is professional, organised and creative artist, who’s approachable and easy going personality makes her a pleasure to work with.